By default Windows Live Messenger or MSN messenger icon appears in windows 7 taskbar. Many windows 7 users like me want it to go in notification area. 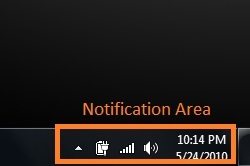 Its very easy to move the icon in notification area from taskbar. Find msnmsgr.exe, Right click and select properties. 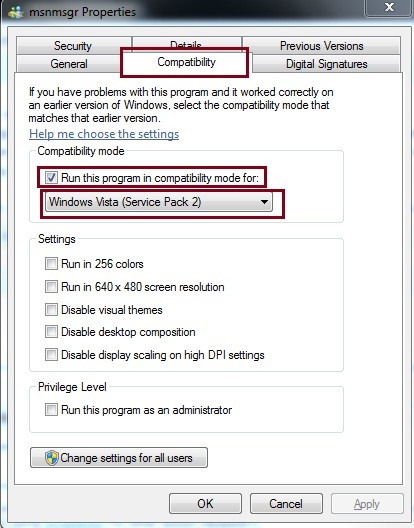 Click compatibility tab and check the box “Run this program in compatibility mode for” and select Windows Vista (service pack 2) as the operating system for compatibility. Done!! Next time when you will open messenger, it should minimize to the notification area.